Wearable tech is all the rage, with smartwatches and fitness trackers adorning every wrist. But while the Apple Watch does offer a number of fashion-forward styles, many high-tech gadgets continue to look downright clunky. But you can get the latest tech with the style you want if you look in the right places. Our favorite smart jewelry proves that high tech doesn’t have to be low style. The ubiquitous Fitbit fitness tracker’s utilitarian design doesn’t have much style out of the box, but you can always dress it up. 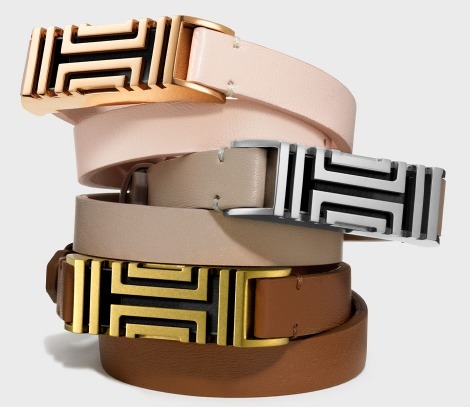 Tory Burch offers stylish Fitbit bracelets and necklaces in leather, stainless steel and silicone to turn your tracker into a chic accessory. Prices range from $38 for a silicone band to $195 for a hinged metal bracelet. If Tory Burch isn’t quite your style (or price range), check out Fitjewels, which offers pendant necklaces in silver and gold from $79 to $109. Etsy sellers also offer a wide range of creative options with something for any taste and any price range. If you don’t have a Fitbit, Fitjewels makes pendants for the Jawbone Up Move and the Sony SmartBand. Etsy offers options for every fitness tracker, with stylish offerings for the Jawbone Up and the Misfit Shine. Try the Misfit Shine’s nicely styled options, including the Bloom Pendant and a variety of dazzling bracelets and necklaces designed by Swarovski. When you’re hunting for third-party fashion accessories, be sure that the piece you’re looking for works with the exact model of tech you have. Because fitness trackers vary in size, most accessories work only with specific models. For tracker accessories that are stylish right out of the box, look for smart jewelry. You may be surprised by the number of options available. One of our favorites is the Cuff, which offers smartphone notifications, fitness tracking and safety alerts — more features than the typical fitness tracker. Beyond that versatility, the Cuff fits into a variety of fashion accessories including bracelets, necklaces and even a keychain. Swap the Cuff into different pieces to match your style for the day. For something heavier on tech features, the Opening Ceremony X Intel smart bracelet combines tech and style in a seamless package. Unlike gadgets that need to sync with a smartphone or a computer to provide notifications or safety alerts, this bracelet is essentially a smartphone on its own, complete with a prepaid, two-year data plan and the ability to send and receive text messages — all without taking your phone out of your purse. The bracelet itself is made of stainless steel coated with polished, 18-karat gold and inlaid with lapis and white pearls. A sapphire glass touchscreen hidden on the bracelet’s base gives you all the tech access you want without the look of a bulky smartwatch. However, at $495, this smart accessory isn’t for every budget. If you looking for smart jewelry to wear somewhere other than your wrist, perhaps the Ringly will fit the bill. The Ringly looks like any other ring, with 18-karat matte gold or rhodium-tone settings for black onyx, pink sapphire, rainbow moonstone, emerald or tourmalated quartz stones. 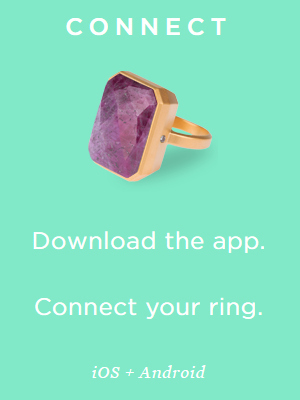 When you sync the Ringly with its smartphone app (for iPhone or Android), it gives you customized notifications with unique vibration patterns. Instead of blanket notifications for everything, use the app to customize just what you want to be notified of. The Ringly is only available for preorder right now, but it’s scheduled to ship this summer — and it’s definitely an accessory to keep an eye on. Prices vary according to the stone, from $195 to $260. If you’re worried less about notifications and more about healthy skin, you may be interested in the June bracelet. This smart gadget tracks your UV exposure and helps protect you from too much sun. It’s easy to forget to use sunscreen on a cloudy day, yet 90 percent of UV rays can penetrate light clouds. When synced with its companion smartphone app, the June will tell you just when to get out of the sun or put on sunscreen. The June’s style choices are fairly simple, with a faceted metal centerpiece in platinum, gold or gunmetal on a leather or silicone band. It’s a reasonably economical buy at $99. Don’t suffer through ugly wearable tech or pretty smart jewelry that can’t keep up with your needs. What’s your favorite smart — and fashionable — tech? Tell us about it in the comments. I can’t even wear a quartz watch, because the batteries are right on the wrist. I tried, and ended up throwing the watch across the room as soon as I got home from work. I don’t even want to imagine how wearable tech would mess up my body. Yes, I’m canary-in-a-coal-mine sensitive.